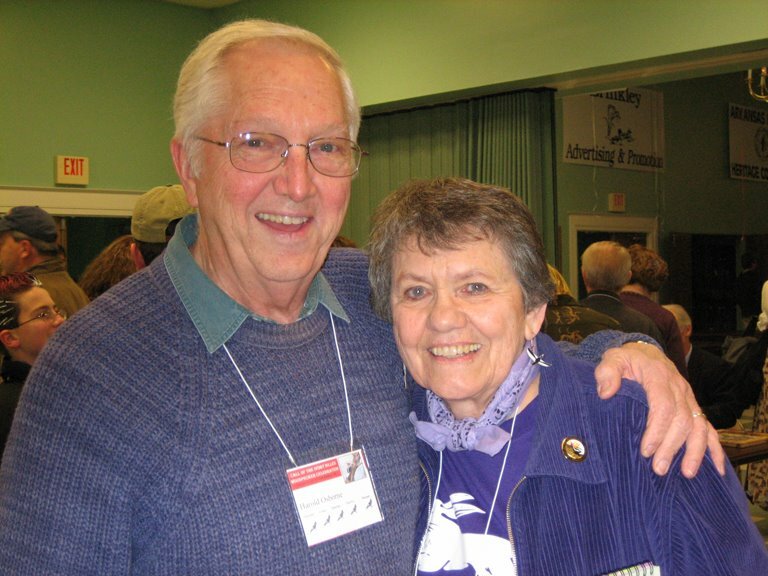 A highlight of this festival was the chance to finally meet June and Harold Osborne of Waco, Texas. June contributes her expertise to WildBird as an Advisory Board member, and she writes the "View From a Room" column in each issue. After many years of phone calls and e-mails, I loved being able to hear her voice in person and receive her generous hugs. It felt very good to talk with her and Harold for three days. 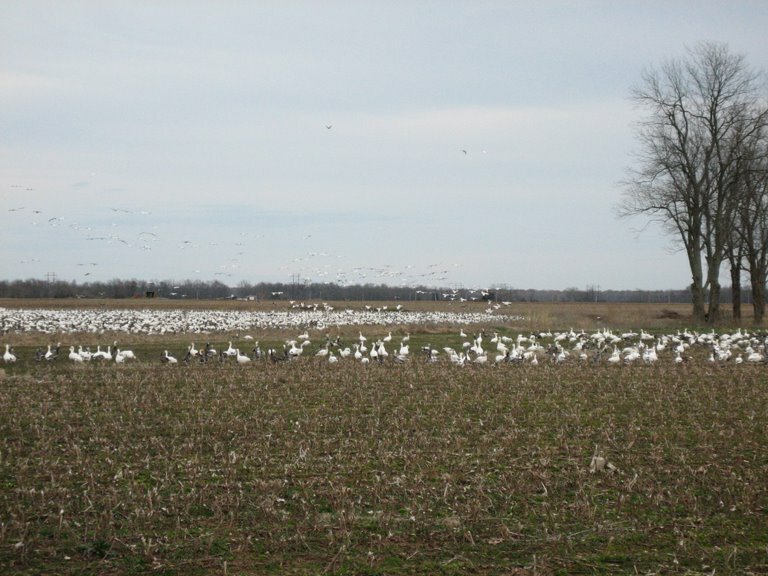 But to backtrack a bit: June and Harold invited me to see a Snow Goose spectacle on Friday afternoon. 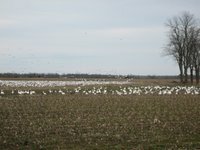 The previous day, they'd observed skeins of geese flying into a field and tracked them down on Hwy. 17 before the road reaches Cotton Plant. On Friday about 5:30, we set out in their Suburban to look for geese. The sky was empty, and as the minutes ticked by, we wondered about the birds' location. Then the huge flock of white and gray geese appeared on the east side of the asphalt. When we rolled down the windows, we heard the commotion. The fantastic spectacle encompassed hundreds of foraging, adult and juvenile white-morph and blue-morph Snow Geese. I really enjoyed it. Then we returned to the Brinkley Convention Center for the evening's festivities: a fish fry and entertainment by The Greasy Greens. (You can see them next here.) The large band provided fantastic tunes--including the world debut of a song about the Ivory-billed Woodpecker--that brought the BirdChick, Bart S. and me to our feet.